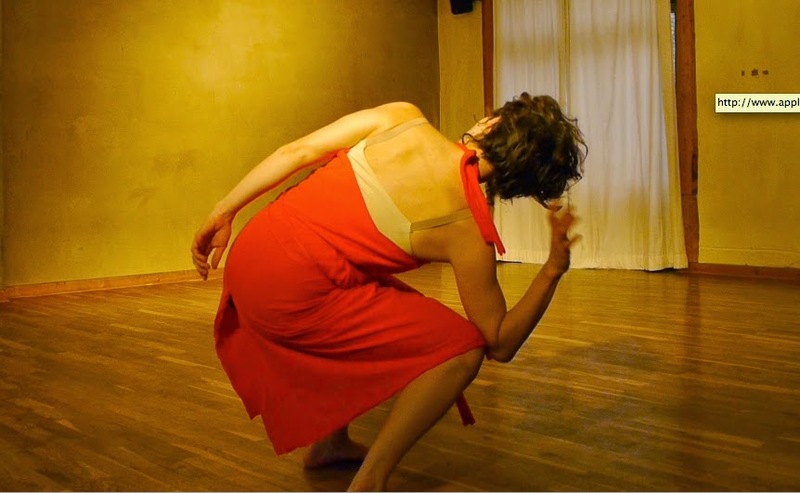 Liz Erber/ Urfluss Performance: What is instant composition? Instant composition is when movement, sound and/or voice creation is simultaneously composed and performed. Unlike many traditional performance works, in which the structure, composition, and main content is created long before the performance, and often by someone other than the performer, in instant composition the creation process unfolds before the eyes of the audience. 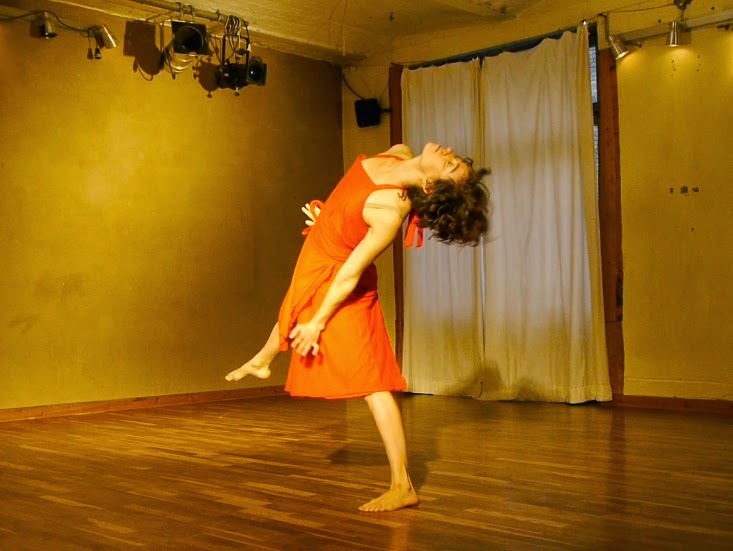 The performer is both the performer and the author/choreographer/composer, all in one. Instant composition, therefore embraces the unique, creative potential of each person. Within each of us is the ability to notice and become sensitive to the world within and without, and to then weave together the movement, images, stories, sounds and words of these inner and outer worlds into beautiful and unique tapestries of human experience. This is what instant composition is. Beauty is, of course, subjective and I do not refer to beauty in a traditional sense. An instant composition can also be grotesque, or frightening, just as it can be joyful or funny. Beautiful to me is the unearthing of unexpected thoughts, images, stories, which are then uniquely tied to one another in a never-before created collage. Each composition is a work of art in itself. What is the difference between improvisation and instant composition? or are they the same? Instant composition is improvisation, although I look at the term "improvisation" as being a slightly more general term. I often refer to myself as an improvisor and say that I practice improvisation. For me, on a personal level, the terms are almost interchangeable. There exists, however, out in the ether, a somewhat widespread notion that improvisation is not a practiced skill, that anyone can just do it without preparation. In the arts world it can be devalued. As someone who practices and performs improvisation, audience members, more often than not, cannot believe that the improvisational performances were improvised, they were too "composed". But that is what good improvisation is, instantaneous composition! In the world of arts funding it is generally better to opt for a term other than improvisation, or to use it carefully and with sparsity if you want your project to be funded. Personally I like the term "improvisation" - it roles off the tongue with greater ease than "instant composition". Yet, I find the term "instant composition" compellingly accurate and descriptive. With the term "instant composition" we can be proud of ourselves as simultaneous composers, creators and performers. I am an "instant composer". It sounds a bit like being a magician - and maybe we are: releasing white doves from the depths of our inner and collective imaginations. Instant Composition is a trained skill, and at the same time, it can also come quite naturally. In one sense, it is like "child's play," in that we tap into the flowing spontaneous creativity that is common to children. And in another sense, it is more than child's play. The more we train, or practice instant composition, the more skilled and capable we become as performers and creators. In instant composition we train our compositional and performance skills, as well as, our abilities to respond instantaneously and freely to both inner and outer impulses. Through the process of training, we slowly become aware of personal preferences, our habits, our blocks, our skills. We seek to release, or let go of, all that blocks us or gets in the way of us experiencing the moment at hand and the natural on-going flow of spontaneous inner images, experiences and connections. There is a rich, unexpected world at hand - both inside and outside of us. Through instant composition we have the possibility of experiencing it now, spontaneously! With instant composition we have the chance to experience ourselves more deeply and in unexpected ways. Even after practicing instant composition for nearly 15 years, there isn't a performance or practice that goes by which does not surprise me in some way. 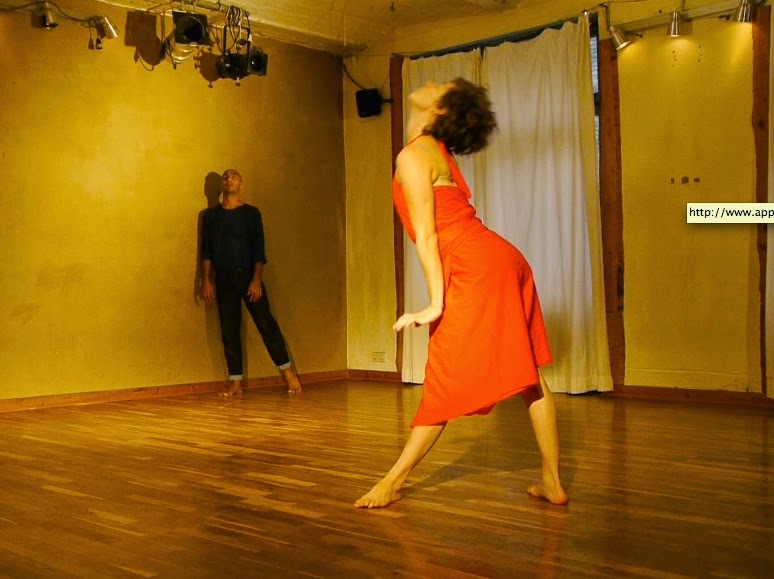 In the process of performing we often have no idea what will come out of our mouths or the movements that will come to our bodies, minutes, or even moments before it happens. 75% of the time I am stunned by what arises. I discover that I know things I did not know. At various times earlier on in my instant composition experience, the thought passed through my head, "now I have mined all of my good material - now there can't be anything left." But this thought is absurd, as well as, the idea of our "best material." In actuality we have little idea what lurks in our minds and imaginations - or what images or experiences have been long-lost in the dark, cobby recesses of our cells. Our inner self is a vast universe. It is likely that we do not even consciously know our "best material". Our best material will arise in the moment of awareness, in real-time. This is what we work towards. Moreover, "best" is an irrelevant qualification. What arises in the moment is likely what is most relevant and therefore "best" in the moment. When practicing instant composition, I try to remember to trust in the vastness of my experience, and in the human ability to always make new connections. Too much planning or calculation can block more spontaneous images and/or experiences from arising, and I may walk right past the obvious. Mining the vast, unknown universe of the body-mind is what makes instant composition amazing, and perhaps one of the most potentially relevant performance forms. As humans we have the ability to constantly make new connections and discoveries. The process of discovery is especially beautiful to witness first-hand on stage. It is as if we are opening the inner-workings of the body-mind to the outside, for all to see. The audience mind also jumps with excitement when a new, unexpected connection is made. In instant composition we see the confluence of an individual's inner and outer worlds shaped by the individual into a unique experience of sound, movement, image and/or story.